Hello everyone! It's a rainy morning here in my place but somehow I can see the King Sun shyly peeking behind the clouds. 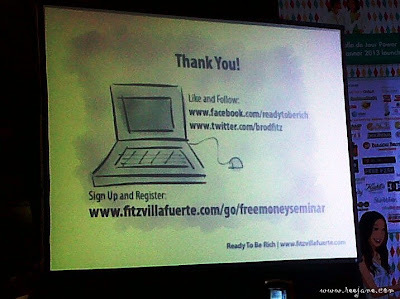 Though it's a little gloomy and the fact that is Monday (which is not my favorite day when I was working in the corporate world), let me share this talk by Fitz Villafuerte which I attended last year (October 2012) during the Belle de Jour Fair. 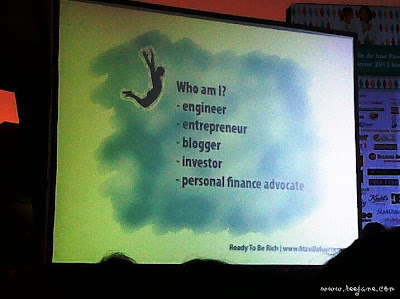 He owns a blog site titled Ready to be Rich which is his way of paying forward to help people especially Filipinos in handling their finances and attaining financial freedom. So let this blog entry take your Monday blues away and be inspired to dream BIG. 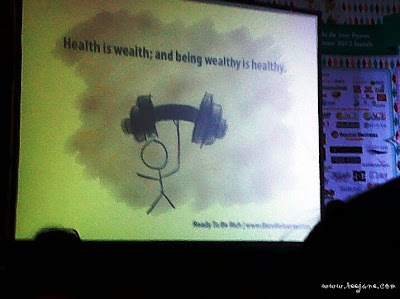 Don't misunderstand the caption on the above photo but when it comes to your well-being it's indeed your wealth if you are healthy. Being healthy means you're capable to be productive and can accomplish things whereas if you're always sick your family, your job and sadly your savings are affected. So when you see, wealthy is healthy it simply means having your own fund or savings for health emergencies. 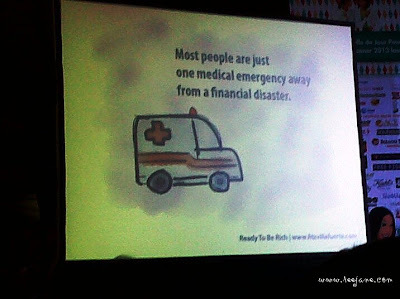 Having money for your health means less worry for you and your loved ones. 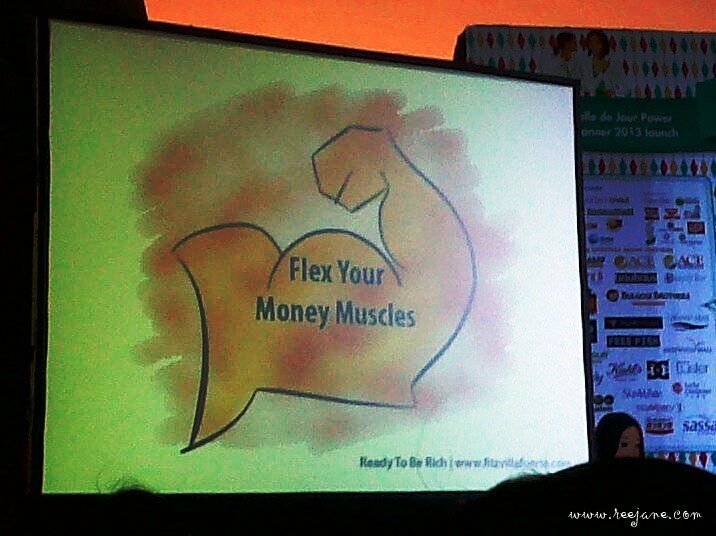 Every Filipinos whether you're poor, middle class or super rich should practice this habit. I remember when we were in grade school, my mother will accompany me and my sister to a local bank to open our savings account. I had no idea what it's all about; I simply follow whatever my mother instructed us to do. If my memory serves me right, it was Banco Filipino when we first had our bank account. Apart from the back account, my sister and I owned a piggy bank. We normally put coins ranging from 25 cents to a one peso coin. Sadly we didn't manage to continue saving up. Just like a normal kid, if we want to buy candies or cheap toys we always find ways to get the coins from our piggy bank. Now I realized that a little money each day can go a long way if you sum it up. We had our fair share of financial disaster due to a medical emergency. My father was hospitalized February of last year for a suspected stroke. He was confined in ICU for a week then stayed in a ward for another week or two. My mother tried every possible way that she can to cut down the hospital bills but sadly we still need to shell out money which we didn't physically have. My sister was working abroad so she shared some of her savings and sends it over to me to help with the expenses. My cousin who is planning to buy the land inherited by my father in the province gave his payment early to my father. I on the other hand, processed the Philhealth documents of my father. 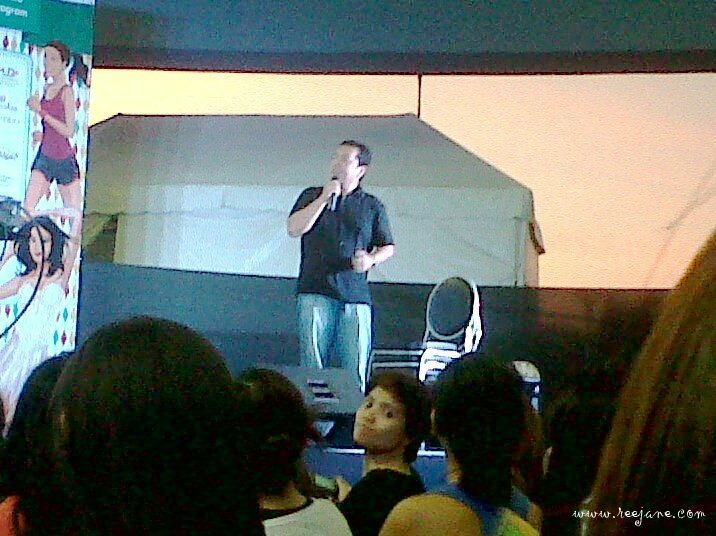 He is a Philhealth member but non-active so he cannot avail the benefits of a member. To speed up the assistance coming from Philhealth, we have to deactivate his membership and registered him as my sister's beneficiaries. It was a stressful and nerve racking event for the whole family that I don't want to experience again. 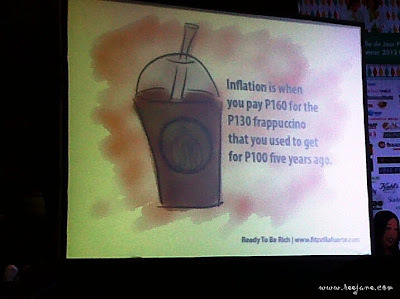 Wouldn't you agree that nowadays everything is pricier compared to five or ten years ago? Before you can buy so much of items for a PHP 1,000 but now you will be surprised to see a few items in your shopping basket or cart that is surprisingly worth PHP 1,000. I always frowned whenever I do our groceries. I can relate too well. I wish that whenever there is price hike, the salaries also increase but that is just a dream. This is so true! 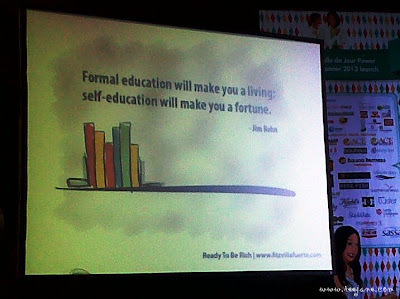 Nowadays, education is nothing if you don't have an ability to use that education wisely. I always tell my brother who's currently in college that in the past faced and competitive environment that we have now, education is not enough to succeed. You need to use your brain and be creative on how you can achieve your dreams. Being strong-willed is also important and as the saying goes, Experience is the best teacher. If you can't afford to learn some technical stuff, there are ways to learn them on your own. You just have to be patient and diligent. Use the resources available and it's important that you get to learn new things in life. In that way, you will survive the trying times that is a part of life. I like this quote very much! 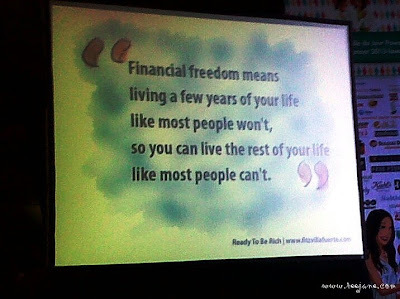 From my understanding of the above quote it simply means cutting down your expenses and saving it up for the future. Stop spending buying coffees in Starbucks, or watching movies, or travelling more than once a year. I know some people will say that it's better to experience things while you're young but what about your future? Would you want to rely on your children to take care of you until you die? I'm simply saying that though our children have an obligation to look after us, that doesn't mean that their lives should revolve around us. 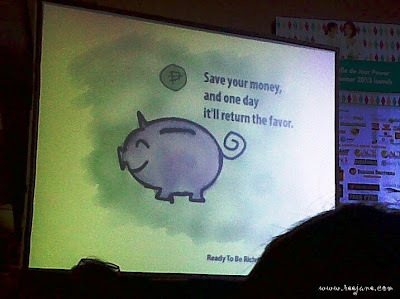 It will be nice if we have a savings of our own (retirement plan/money) so by the time we are old, we won't be much of a burden to our children. If you think about it, your children will have a family of their own and they will prioritize their family over us (that's the truth). You're lucky if you have a child who will never forget and leave your side but that's not the case for everyone. So better to sacrifice some luxuries in life today then live abundantly in the future. Don't forget, inflation is constant just like change. I'm not saying that we jump immediately in investing our hard earned money. 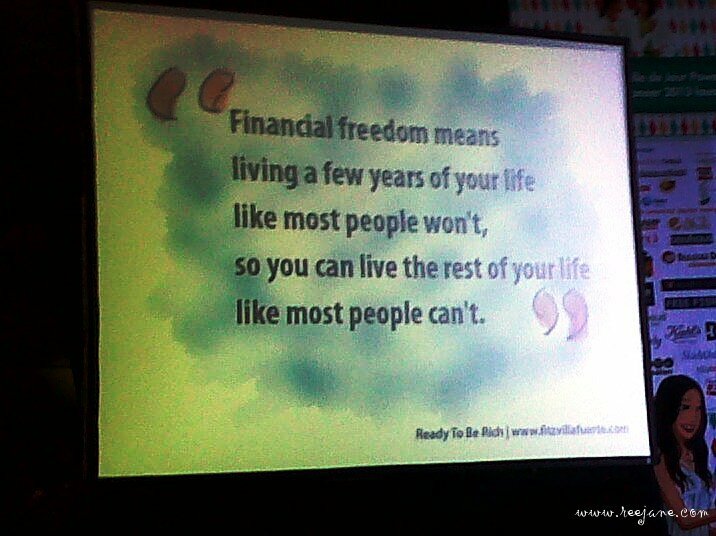 It pays to read and learn about finances. I myself haven't made any investment lie mutual funds or stocks though I've been wanting to do it since two years ago but I want to make sure that my finances are stable (I want to be credit free and have an emergency fund). At the moment, I just signed up for a health insurance + life insurance plan. I needed a health insurance since I don't have any. Working as an offshore consultant has ups and downs. One of the downside is they don't provide you a HMO so you have to get one for yourself. 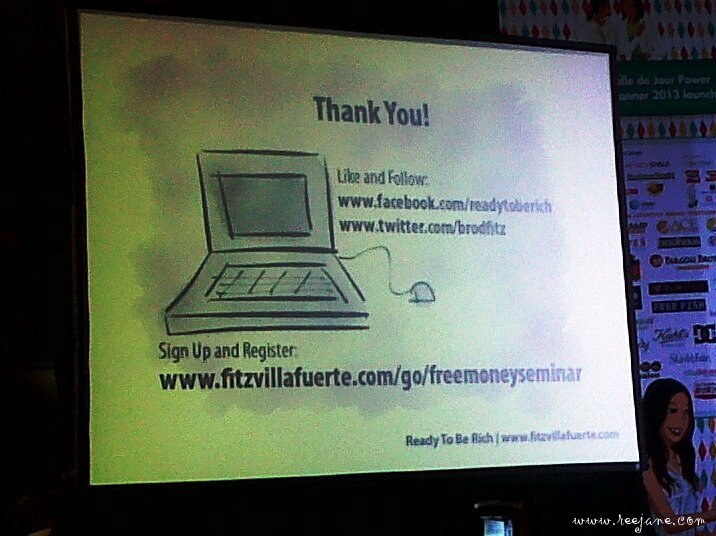 Learn how to make your money work for you, be financially educated. P.S. Sorry for the grainy pictures as I'm using my Blackberry Curve in taking the photos.